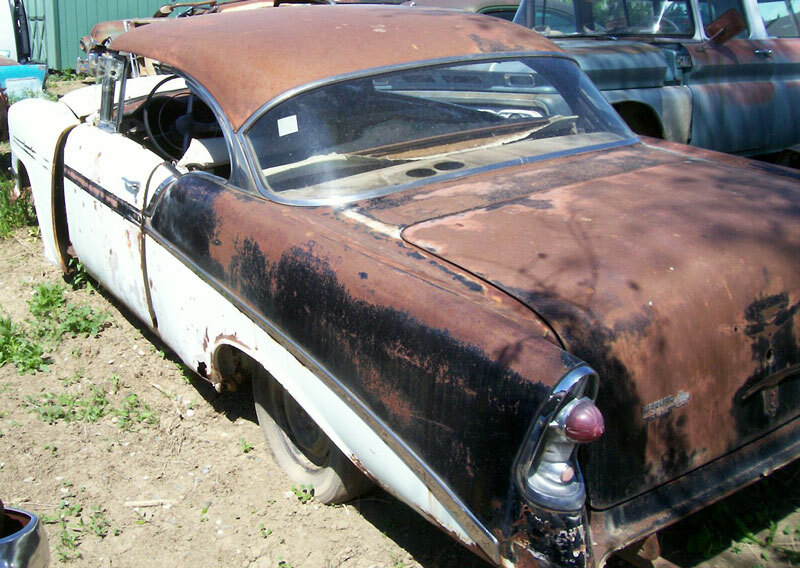 This white and black 1956 Chevrolet Bel Air 2 door hardtop is a fairly complete project car ready to be restored. The body in general is fairly straight and solid.The front fenders are tagged in place and not completely installed. Both headlight areas are rusted. The hood trim is missing. The grill and bumpers are inside the car. The grill has a few dents and the bumpers have some bends. Both parking light trim assemblies are dented. The front splash pan is dented. The left front fender trim is missing and the right fender trim is damaged. The windshield and trim are gone. The right quarter is damaged and the trim is gone. Both rockers have some dents. Both door top trim are gone. The deck lid trim and lock are gone. There is some rust in front of the left rear wheel well. 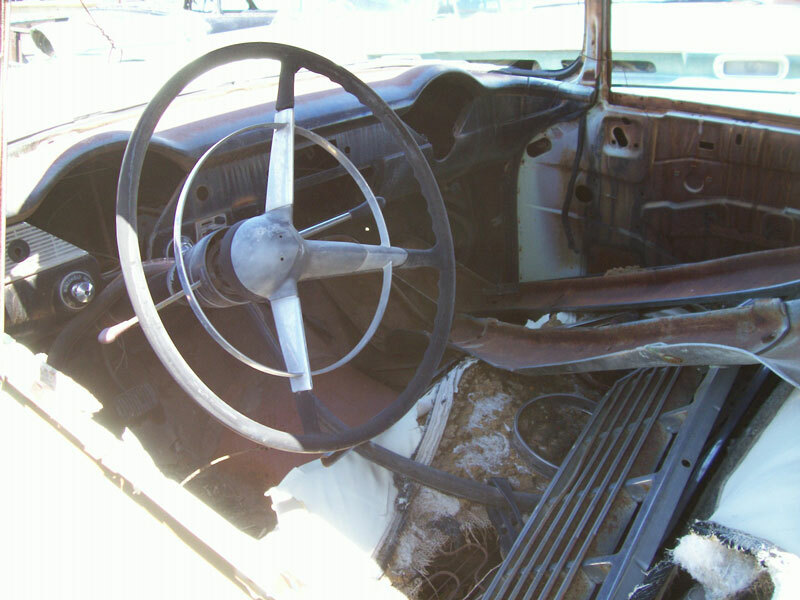 The dash is stripped and the parts are gone. The seats are there. Some interior parts and side panels are missing. The floor is solid. The car has the optional Super Turbo-Fire 265 CID 205 HP V-8 motor with 4 barrel carburetor. The radiator is missing. The car has a Powerglide automatic transmission. The running condition is unknown. The car has a good title. 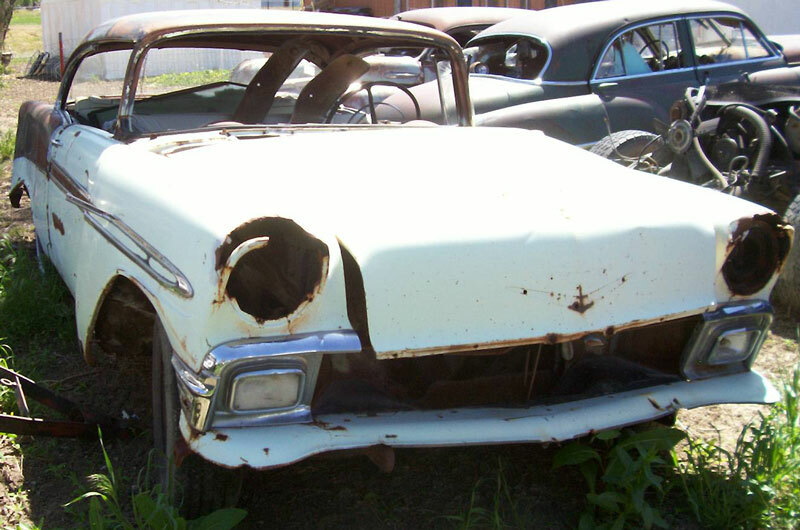 Don't miss this chance to build and own one of America's most desirable classic cars... a 56 Chevy Bel Air 2 door hardtop. 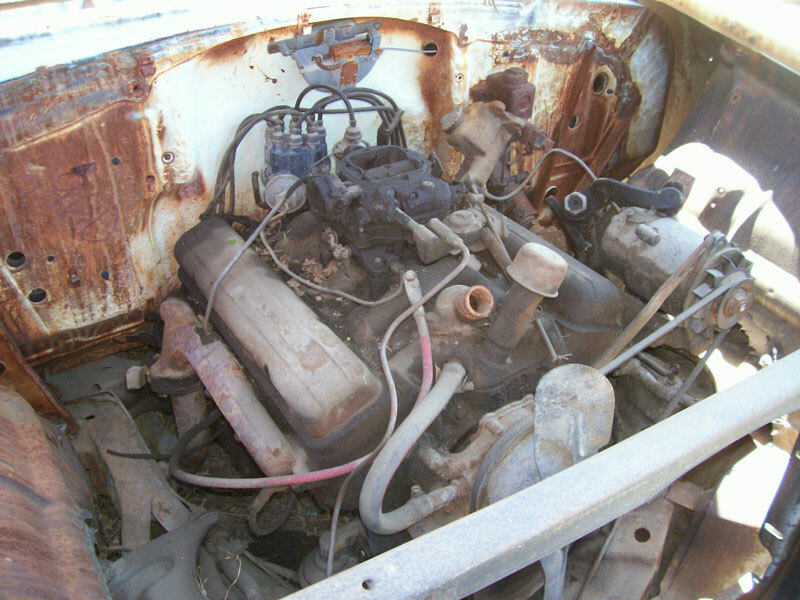 Please call (406) 318-0270 for details about this restorable classic project car. For sale $7,500.